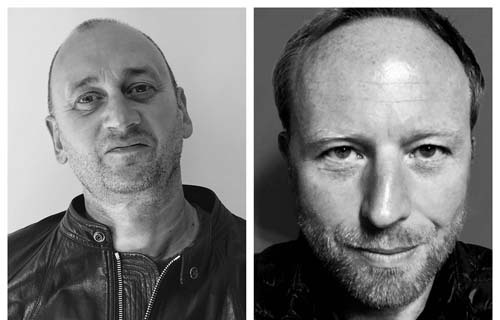 Entertainment One (eOne) today announces a multi-year overall television deal with Simon Howley and Jon-Barrie Waddell’s Fired Up Films. eOne will co-produce and serve as the studio on scripted and unscripted content under the partnership. Based in Holywood, Northern Ireland and London, UK, Fired Up Films is the partnership of esteemed industry veterans Waddell and Howley. The recently-launched scripted and unscripted television production company focuses on blue chip series and documentaries, factual entertainment formats, feature docs and elevated drama projects. “Jon-Barrie and Simon have a winning track record of creating exceptional series and specials across a number of genres that travel far and wide. We look forward to working with them as we continue to expand our non-scripted business in key markets,” said Tara Long, eOne’s EVP, Alternative Programming, Television. “We are thrilled to bring the exciting mix and range of Fired Up Films content into the eOne distribution portfolio and to the international market,” added Noel Hedges, eOne’s EVP, Acquisitions, Television. “Working with Tara and her creative team in Los Angeles is key to our US expansion as we continue to build our premium content and target established networks and new platforms with Fired Up Films. We’re also working on global co-productions in drama and factual and eOne brings the expertise, nous and co-financing models that can take us to that next level. With a number of primetime series already in the pipeline, we’re certainly fired up to get going”. With over 25 years’ experience in the industry, Waddell and Howley have produced global content across a range of genres that includes hit shows: Million Dollar Car Hunters (BBCWW/C4), Hitler’s Hidden Drug Habit (Nat Geo/C4), How Jaws Changed The World (Discovery US/C4), Future Weapons (Discovery US), Russ Meyer: King of Sexploitation (Channel 5), Texas Rodeo Tikes ( Animal Planet US), The Great Train Robbery – A Tale of Two Thieves (Netflix), True Evel (Discovery US), How Bruce Lee Changed The World ( History US), Pirate Gold (Nat Geo) and The Greatest Ever (Discovery Canada) – as well as C4’s The Big Breakfast where they first worked together over 20 years ago. Today, Fired Up Films has an advanced programming slate with both non-scripted and scripted projects, along with several major development deals with networks in North America, the UK and Ireland. This news follows on from eOne’s recent acquisition of a majority stake in UK non-scripted leaders Whizz Kid Entertainment, which extended the Company’s television production footprint to the UK, already a hub for the eOne’s Family and Brands business, as well as film, scripted television and international distribution operations.